What do you do if you like to have a clean and organized home, but your husband just refuses to cooperate? While you can’t change someone else, there are a few ways to deal with a messy husband that might keep you from losing your mind. Give these tips a try! I’ll preface this by saying I feel very qualified to talk about this because I was actually on the opposite side of this argument. 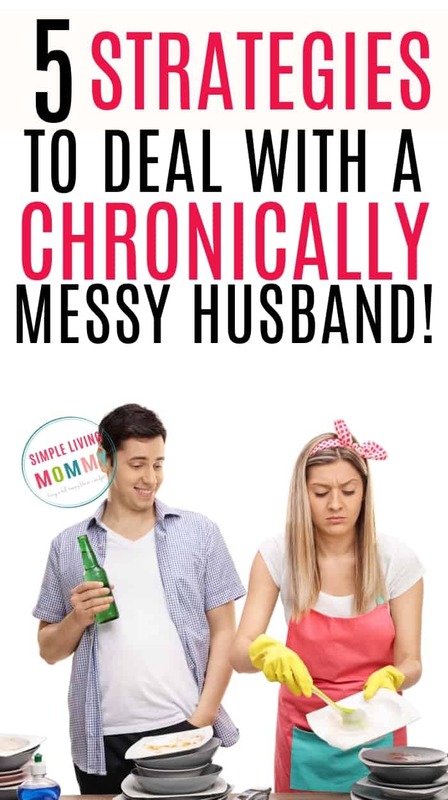 I was the messy spouse while my poor husband dealt with the mess the best he could. Finally, working a ton of hours and coming home to a messy house was starting to take its toll on him. If I can learn to clean up my act and go from messy spouse to keeping our house in awesome condition every day (well, almost every day. It falls apart and then I get it back together again) while home with three kids and pregnant – ANYONE CAN. Let’s play role reversal and I’ll teach you how my husband finally got through to me! 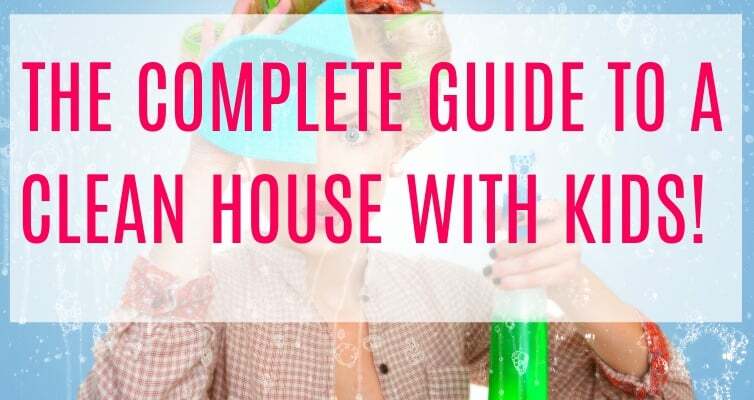 You also need to read: Cleaning Products That’ll Make Your Life Easier! This is still one of the most commonly asked questions I get when it comes to decluttering and cleaning. My best advice is to be honest about your non-negotiables. What drives you the most crazy? See if your spouse is open to a compromise, but realize this doesn’t come naturally to them, so there is lots of room for constant reminders (nagging) and fights down the road. Don’t expect anything you agree on now to stick later. There’s one key to living with a messy spouse without going crazy… Be realistic. If you’re naturally neat and tidy but your spouse isn’t, you probably won’t ever have a home that meets your standards. That doesn’t mean there isn’t room for a ton of improvement, but always remember – progress over perfection. Celebrate the small wins, especially in this area, and be sure to tell you spouse how much you appreciate it any time they do something that contributes to a more organized or clean house. This can be incredibly frustrating when you’re raising kids and have nothing left to give at the end of a long day. 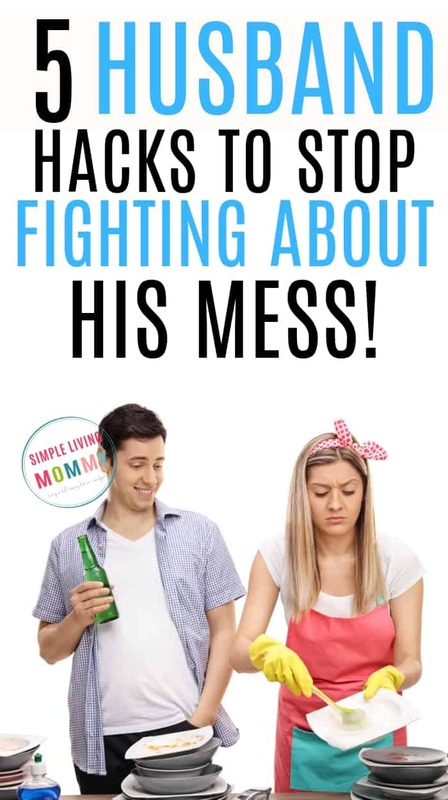 The last thing you want to have to worry about is coddling your slob of a partner into not destroying your house worse than your children do. For a slightly different perspective, let’s examine the why behind messy people. More often than not, unless someone is completely incapable of letting go of any worldly possession (like those people on the TV show Hoarders), a person is messy simply because they weren’t raised to be neat. This can be the case even if they had extreme neat freaks for parents. Sometimes, extremely tidy people prefer to clean up themselves, so their children never learn cleaning and organizing habits. I’m not saying you’re stuck living in squalor, I’m just saying you have to lower your expectations and realize the two of you may never want the same things when it comes to cleanliness. Instead, aim for progress over perfection. Even if it’s just putting their plate in the sink after dinner, be appreciative and it may motivate them to continue making small changes. Don’t expect them to take the initiative to organize because it simply doesn’t come naturally to them. Instead, ask for what you want in the least nagging way possible. Pay attention to what way of asking gets you the response you’re looking for most often. Do more of what works and less of what doesn’t. Control what you can without being disrespectful. For example, if dishes are a huge point of contention in your home, put most of them away. Get rid of some if that helps. Then, the dishes NEED to be done before we can eat again. Same with towels. You get the idea. Throw out the extras if you have to. If you’re tired of cleaning up 30 plates, the solution seems to be having only 6 available – right? You shouldn’t live in filth, but your spouse won’t be there forever. Be so grateful to have these people you love in your life this closely. 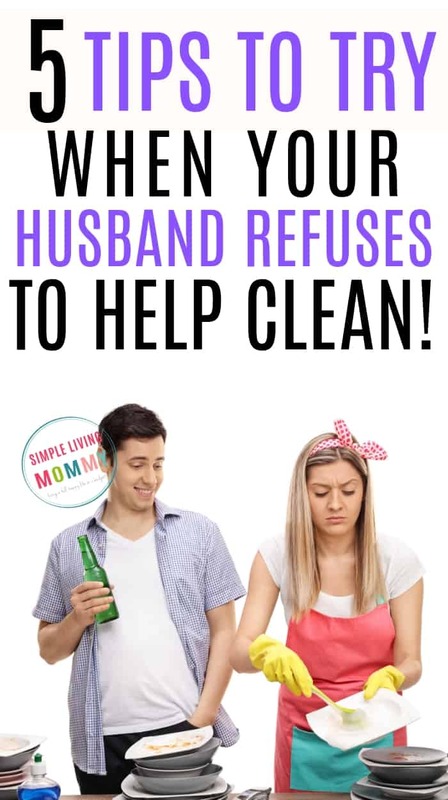 Try to focus on the things your spouse does right when you’re about to lose your mind over his clothes that are all over the floor or the dishes in the sink. Remember there was something you loved about him once. What was it? Even if a lot has changed. Is he a great father to your kids? A great listener? Before you consider taking drastic measures, see if changing your perspective can help your own experience at home. I know people who have divorced over arguments about the cleanliness of the house. In these scenarios, no one wins. One spouse isn’t doing something to purposely upset the other. One spouse feels disrespected by the mess while the other feels nagged to death. 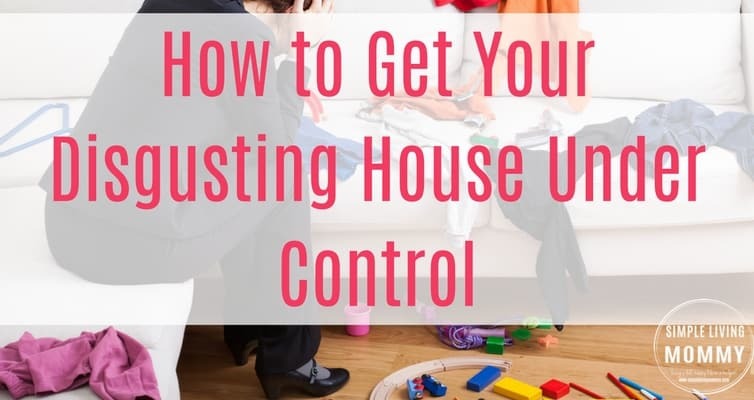 If your partner truly takes advantage of you or flat out refuses to do anything to make you happier with the state of your home (AND you’ve examined your expectations and have decided you’re not being unrealistic) you need deeper help that is outside the scope of this post. I mean that in the most sincere way possible. Be open to counseling if this is truly an issue in your marriage and shows no hope of changing. Even if your spouse would never agree to go to counseling – go by yourself! You may just learn a new way of communicating with your spouse that could open the door to bigger change down the road. What I CAN tell you, is that this book changed my marriage. I truly believe it should be required reading for anyone even thinking of getting married. Find a way to be respectful of everyone in your home and their own belongings. 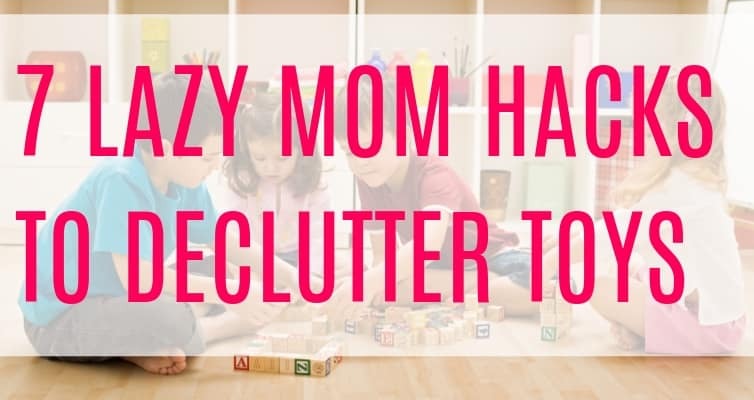 If they really want to keep something and the cluttered space is their own bedroom (in the case of older kids or live-in family members) I believe this is an area you should try your best to let go. As long as the public areas of the home are able to remain uncluttered and presentable, it’s okay to let those people have their own source of comfort – even if they find that comfort in possessing way too many things. Their comfort matters too. I am so sympathetic to the fact that sometimes, the biggest hurdle to a clean home can be the person you love most. If you are going through this with your spouse and are feeling helpless, please know that my thoughts are with you. Do the best you can with what you have and try your absolute best to find the positives in your situation… Even when it’s hiding under a pile of clutter your husband refuses to get rid of!